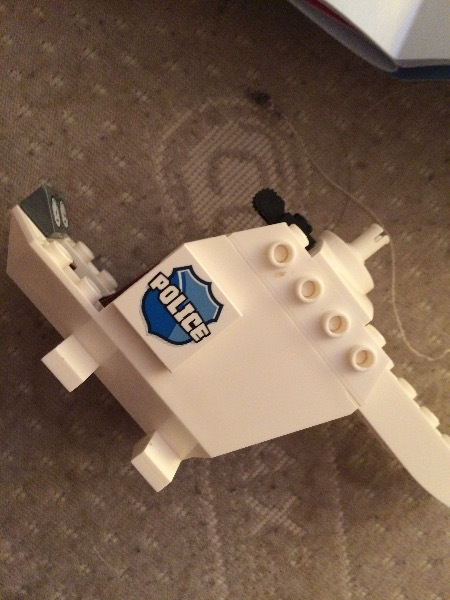 This is the feedback thread for those of you who are testing the LEGO Juniors City Police Helicopter Chase set for us as part of our latest MadeForMums product test. 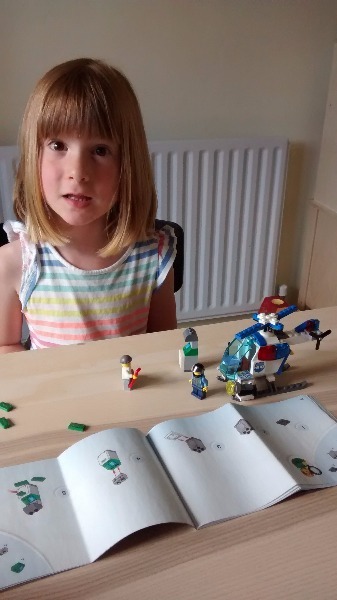 You should all have received your LEGO Juniors City Police Helicopter Chase set by now, and have had a chance to test it out – and take a picture of your child playing with it. 1. 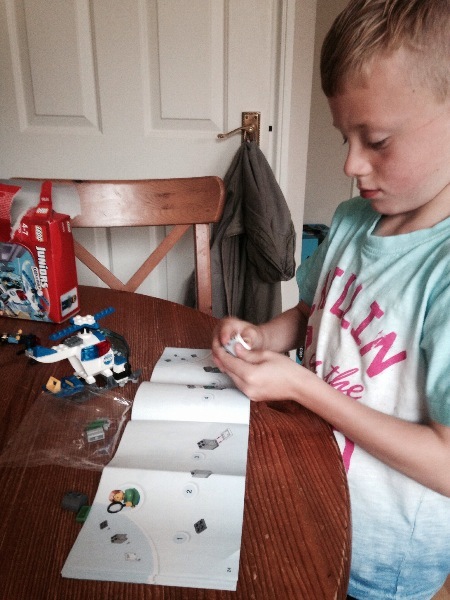 How did your child get on with building the helicopter? When you answer, please tell us how old your child is. 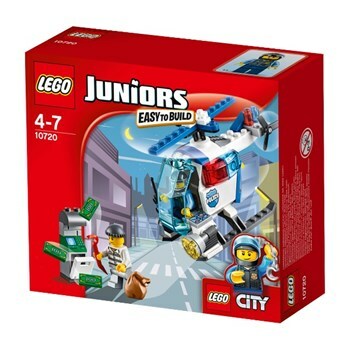 LEGO Juniors City Police Helicopter Chase (above), £8.99, has 63 pieces including 2 minifigures, a helicopter with opening door and window, searchlight and spinning propellers, 2 banknotes, crowbar, walkie talkie and handcuffs. 1. He got on really well and said the instructions were very easy to follow. He is 6 years old. 2. 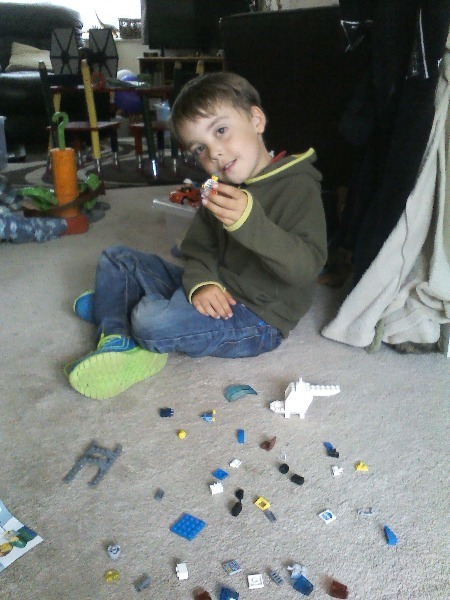 Both he and my 3 year old son enjoyed building and playing with the Lego helicopter set. 3. He said he likes the helicopter most and the little opening back door. I think the fact it is easy for him to make and occupied him for 10 minutes, then spent 30 minutes making up a story with it. 4. Yes I would recommend this set, but probably for a younger child. 1. My daughter is 6. 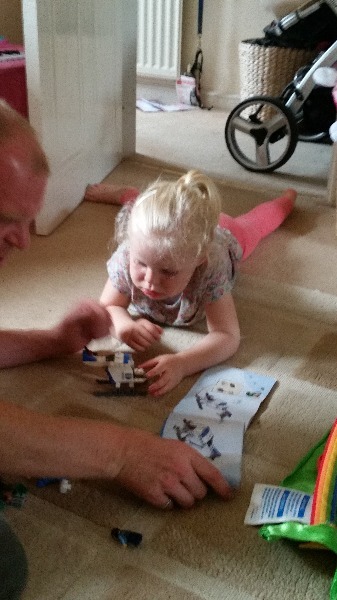 She really enjoyed putting the helicopter together. 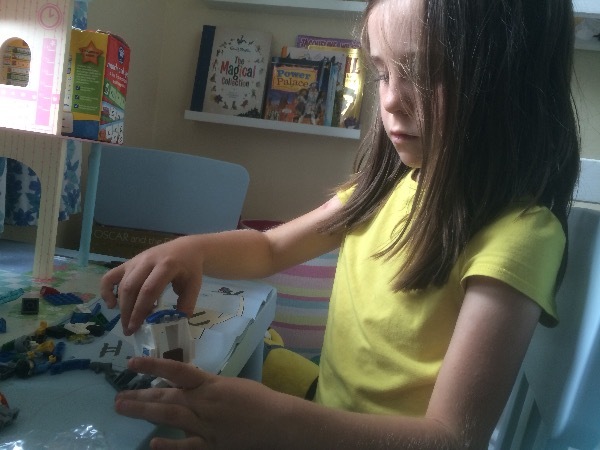 She already has a big box of plain Lego bricks & just comes up with her own creations, so this was the first time she'd actually built a kit with instructions. She absolutely loved it & is keen to do more in future. 2. She definitely enjoyed playing with the finished helicopter, but I think she preferred building it. if she had been a little younger I think she would've played more imaginary games with it. 3. She really liked the little accessories in this set, like the handcuffs & the walkie talkie. Her favourite part was the little cash machine which she could post banknotes in & out of. 4. From a construction point of view I would definitely recommend it for a 6 year old, but with regards to play value I would say it's suited to a slightly younger child. Thank you so much for picking us to try this set! My daughter was very excited to open it and get started. 1. She is four years old, and this set was great for her - challenging but not too hard or lengthy to build. 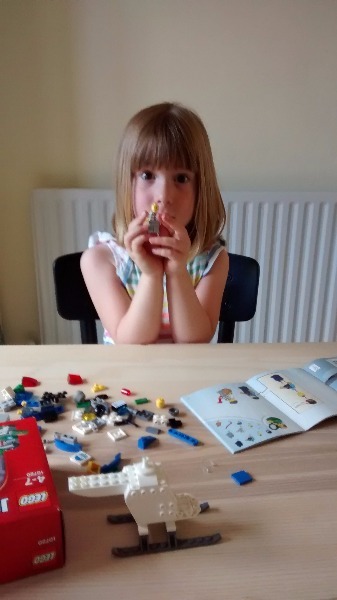 She has played with Lego before, but I think this is the first proper set that she has built herself by following the instructions. 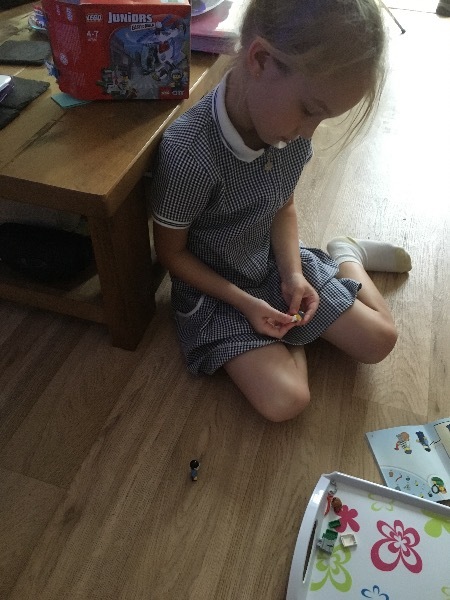 A little bit of help was needed to clip some of the pieces together firmly and to check the diagrams to get the pieces in the right place and the right way round, but she did the vast majority independently. 2. Once it was built she did enjoy playing with it, making up a story with the figures and playing for about half an hour. This is her at the start and with the finished article. 3. 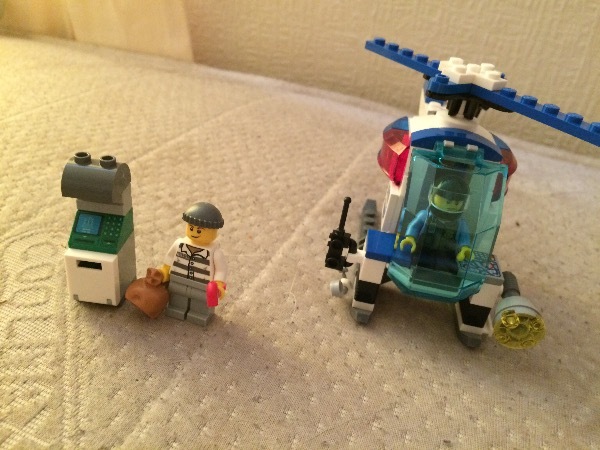 She liked the little banknotes and cash machine, the doors on the helicopter, and the spinning blades. I was really impressed by the design of the set - I hadn't bought Juniors sets before as I thought they would be a bit simplistic and not 'real' Lego, but actually it was a really good balance between getting the child started with the basic helicopter shape, and still giving them plenty of stuff to build themselves. And of course it's excellent quality, as you'd expect from Lego. 4. 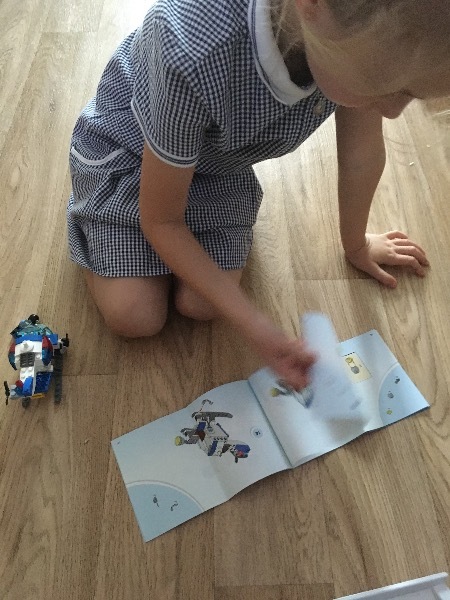 I would definitely recommend it as a set and a really good introduction to Lego building for children of my daughter's age. 1. 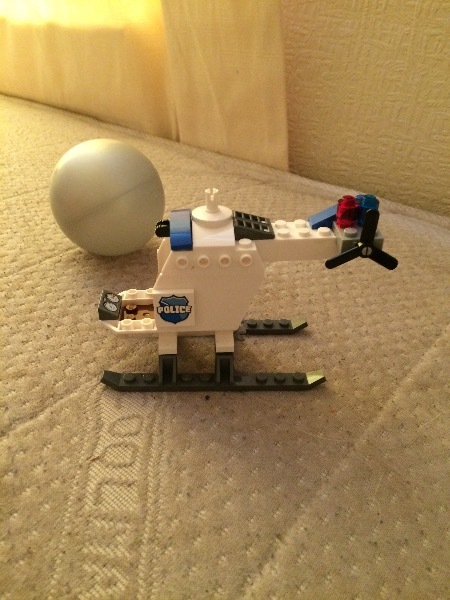 My 7 year old Son loved the helicopter set. 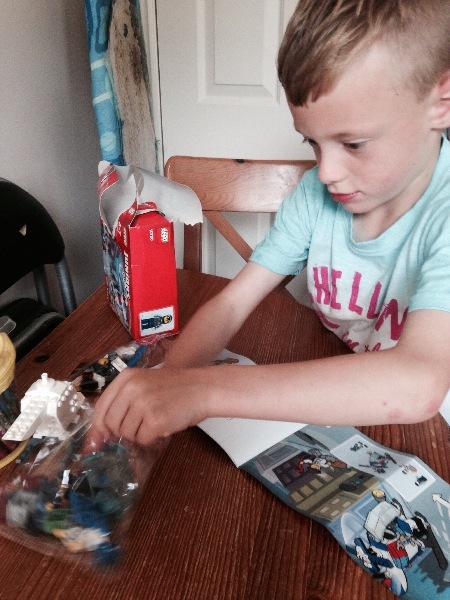 The packaging was very eye catching and exciting for him, he couldn't wait to start building it. 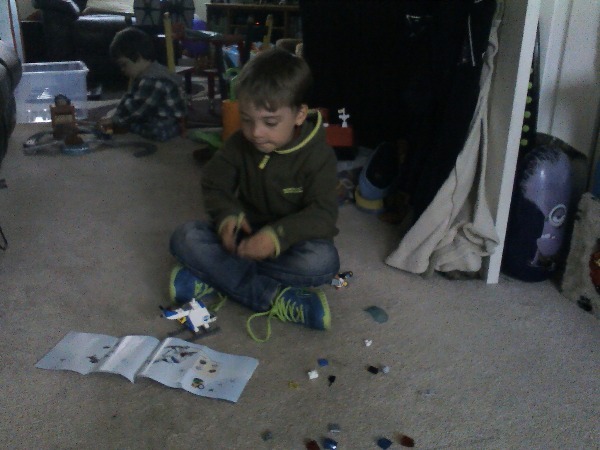 He loved building the set, the step by step instructions were easy to follow and kept him interested. The set itself was easy to build by himself and perfect size pieces for his size hands, brilliant for fine motor skills movement. 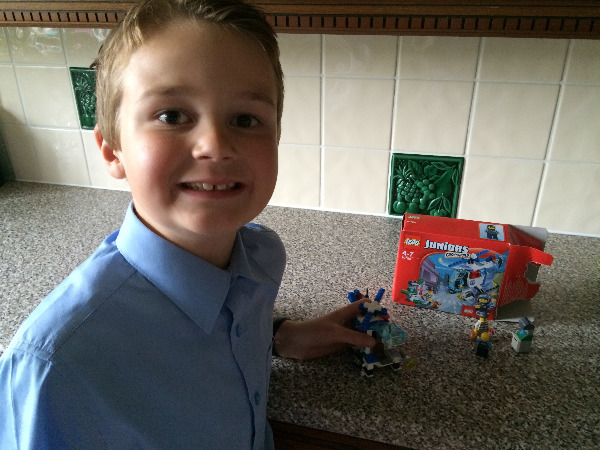 2.My Son very much enjoyed playing with the finished set. He spent a long while making up a story playing cops and robbers. He loved the pretend bank notes and hand cuffs. He has since played with the set again, and made up a different story pretending to be on a police chase. A great little set for building a child's imagination. 3. 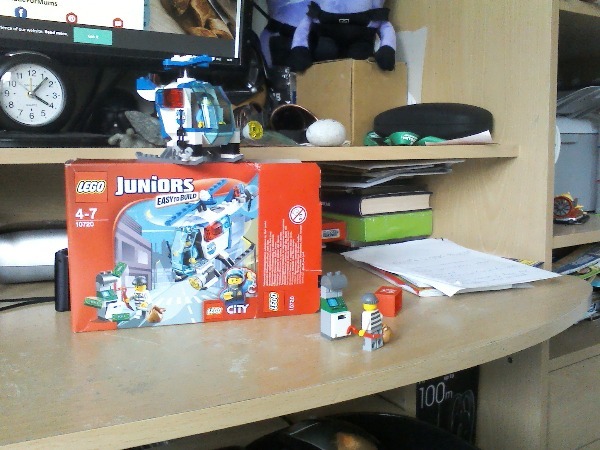 My Son loved so much about this set, the helicopter having the extra detailed search light and spinning propellers. He also loved the bank notes, bank robbers bag, and hand cuffs. 4. Absolutely, would recommend this set to a friend, and would definately purchase for a present. Thank you for letting us test this set. It has been a lot of fun. 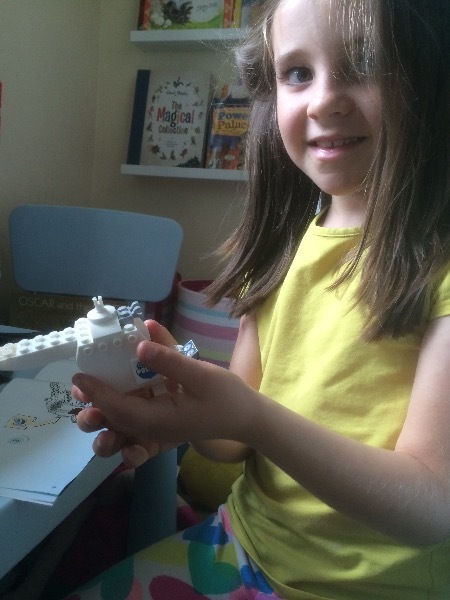 1) My 6 year old daughter really enjoyed putting the helicopter together. She needed a bit of help with a couple of bits. 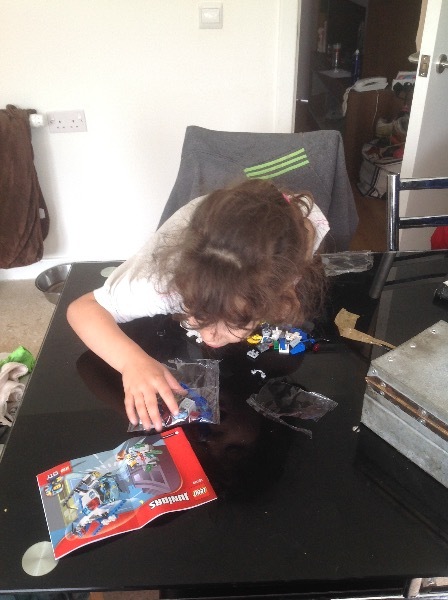 This is the first set she has built with instructions and is now looking at what one we will buy. She understood and could follow the instructions easily. 2) She said she preferred building the set than playing with it after. The set is quite small and she is going to build a bank to use with the set. She loves emergency service themed sets so this was perfect. 3) When I asked her what her favourite part was she said the cash machine. She really liked the fact you could post the money into it. The accessories were brilliant and she said she liked being able to put handcuffs on the robber. 4) Over all I would recommend this to other people. 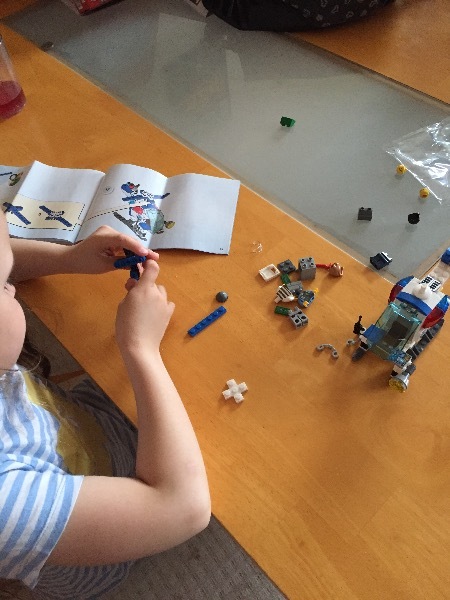 It is a great product and the first time we've had a Lego set to construct. 6 is a good age regarding the construction, however I'm not sure on the long term interest. I would say the younger end of the age range would get more out of playing with it. 1. My son found the instructions really easy to follow, he is 6 years old. 3. He liked the smaller detailed things like the search light and the handcuffs. 4. Would recommend to friends but probably for a slightly younger child, would also buy this as a present as it's reasonably priced. 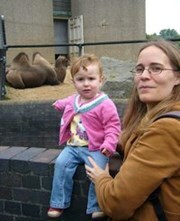 1) my daughter is 5 years old and is highly functional autisti. The oackaging was very eye catching to her and she could t wait to get it open. 1. My daughter is 4 years old and enjoyed building this helicopter with the help of her daddy. She wouldn't have been able to do it on her own I don't think but it's a really nice activity for father and daughter. 2. 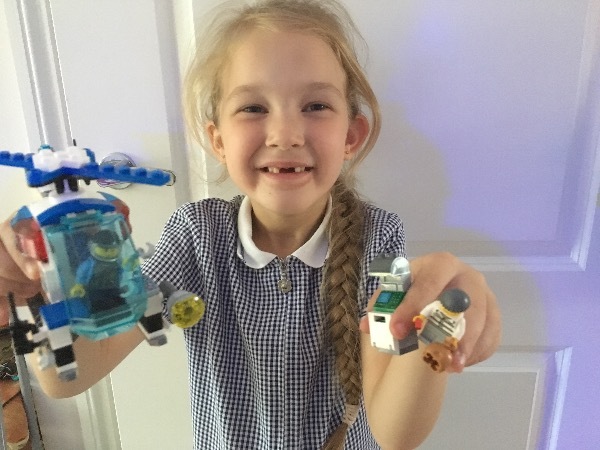 She has enjoyed playing with the helicopter on a few occasions since she has built it. It's nice to see her playing with something other than dolls and pushchair. 3. When I asked her what she liked best she said the whole thing but I think she likes the propellers moving and the opening door. 4. 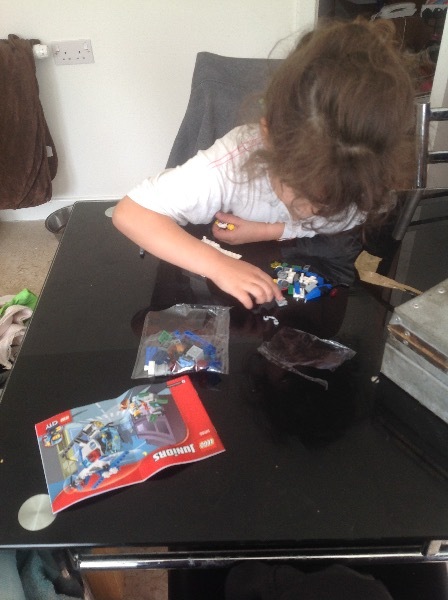 I would definitely recommend this product to other people and we may now be getting some more lego products so she has more sets to play with. Thank you! 1. 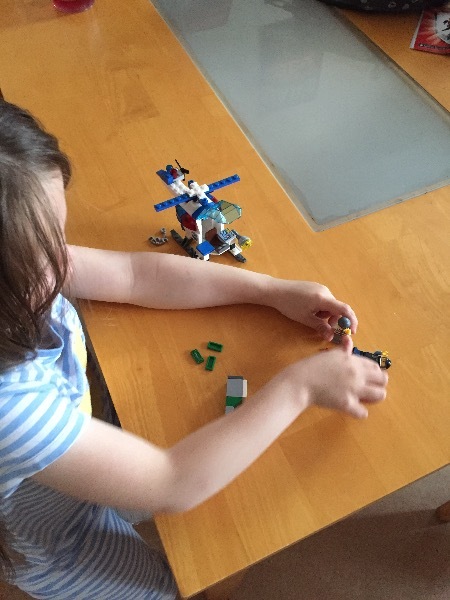 My Daughter is 6 and really enjoyed building this Helicopter. 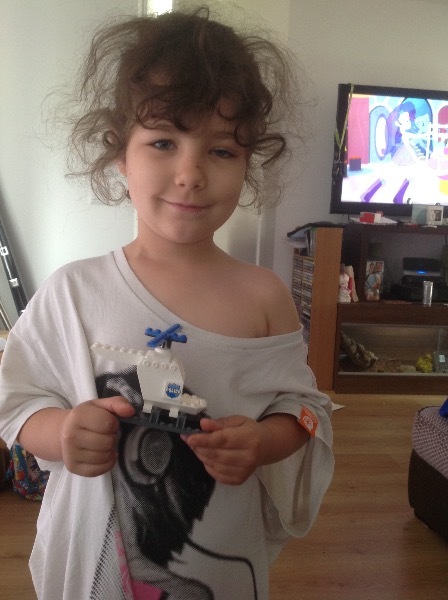 She has many other Lego toys so it was nice for her to do something that wasn't aimed just at girls. She found the instructions very easy to follow. 3. She really liked the cash machine and the little slot it had. 4. 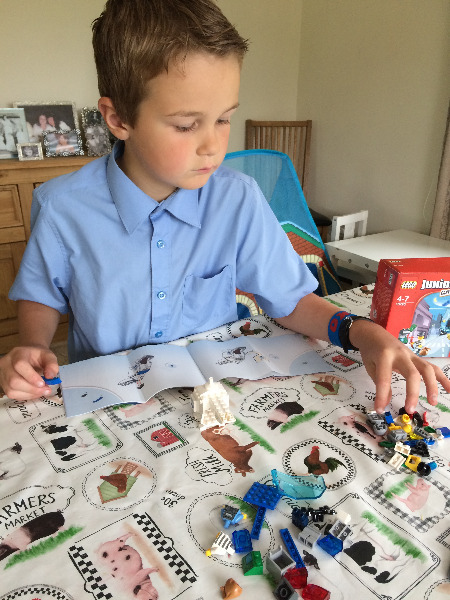 We feel compared to other Lego toys for children of the same age this would be better suited to someone slightly younger. I would recommend this to friends though and possibly buy it for my younger nephews who would enjoy this. 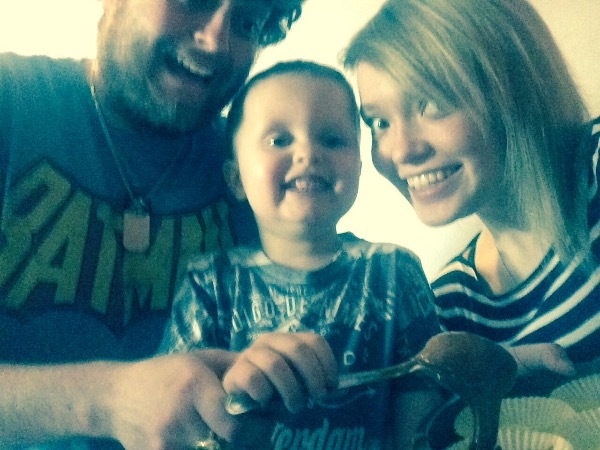 Thanks everyone for posting your feedback – and your wonderful pics! 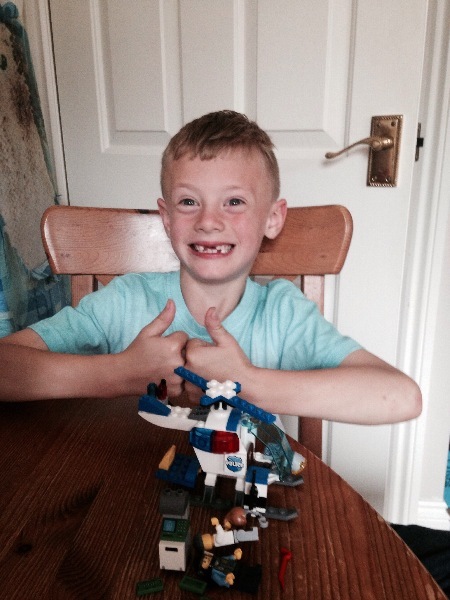 It's so lovely to see your children enjoying their LEGO builds. 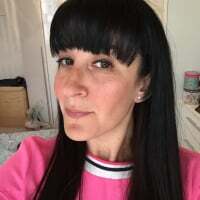 Hope you all enjoyed taking part in our product test. Please keep your eyes peeled for the next ones!